This Maine Monday post is a purely selfish recommendation. 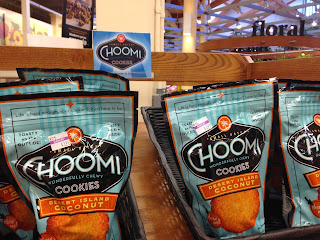 I'm hoping I can inspire you all to stampede your nearest grocery store and buy up the supply of Choomi Cookies. Because if you don't, then I will and that won't be good. If you aren't local, don't fret because you can buy them online at their website and save me from adding a few inches of insulation this winter. Po' Boys & Pickles on Forest Ave in Portland is world famous for their coconut macaroons and with good reason. Those moist bundles of tropical goodness can sell out before lunchtime, and one bite of their macaroons warm from the oven will transport you to a hammock under a palm tree. So when I saw this cheerful blue bag on the counter at a local coffee shop in town with "manufactured by Po'Boys & Pickles" on the back, I grabbed one. Even the hipster coffee dude was raving about them. After I texted out a picture of my tasty new find to a group of friends they told me I could also pick them up at the local Hannafords in the bakery department. Which was not the news I wanted to hear. The bag of five cookies didn't last 24 hours in our house, and the little C&Gs will tell you they were only allowed to pick off a tiny piece of one cookie. They are amazing. 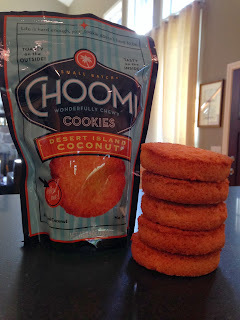 A slight crunch on the outside and soft and moist on the inside, and not overly sweet at all. 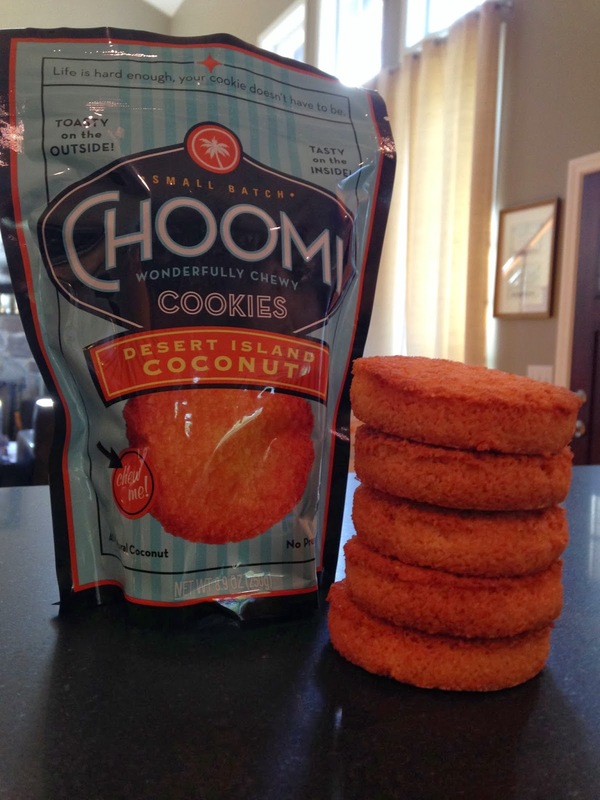 Just the right amount of breezy coconut flavor. As with all things that are crazy delicious (cocktails, chocolate cake, coconut macaroons) they are pretty high in calories. 230, to be exact. 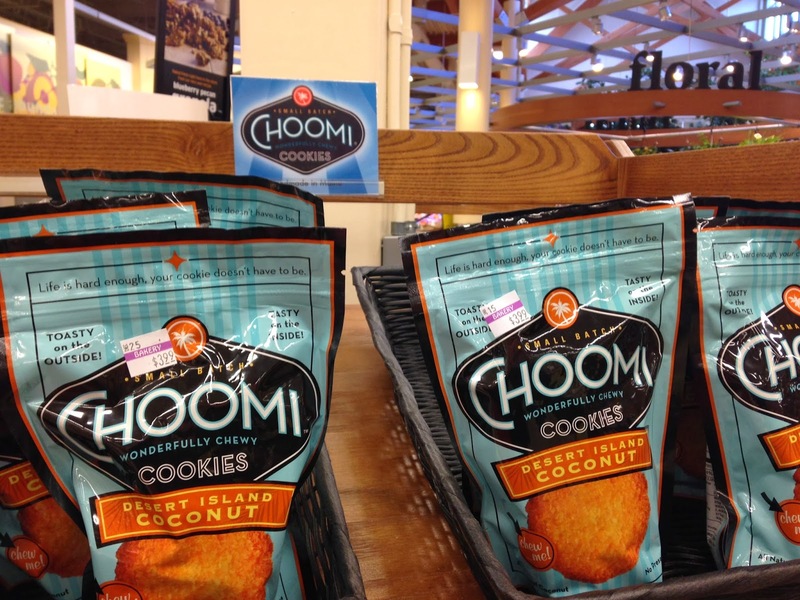 But there's no artificial anything in the cookies, and isn't coconut the new kale? At least that's the story I've been telling myself. I'm missing everyone too, I'm going to get myself together and come back cap in hand. What a flipping' drama I've created!